Over the past week, Cindy and I went running around the halls of the Las Vegas Convention Center and took tons of pics of all the cool Jeeps, trucks, cars and products at the 2016 SEMA Show. As was the case last year, the show was absolutely packed full of vehicles and I’d have to say that SEMA is really starting to look and feel like it had about 10 years ago. In fact, there were so many Jeeps at the show that I have no doubts that there were more than a few we missed in spite of our best efforts to capture all of them. WOO-HOO!!! It’s SEMA time again and as always, we Cindy and I will be covering the show LIVE from Las Vegas, Nevada! In fact, this will be our 11th year doing this and we invite all of you yet again to attend this amazing show virtually by following us here on this thread. LIVE Coverage Starts November 1st!! 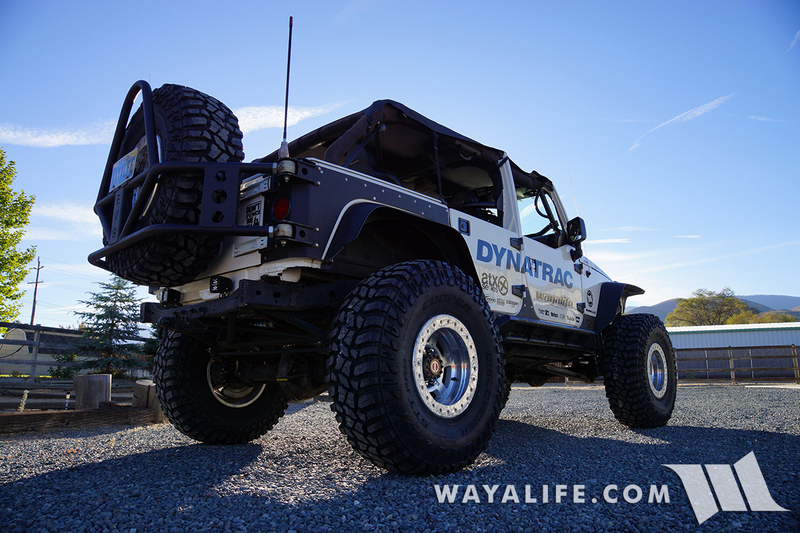 Starting Sunday, November 1st, Cindy and I will be covering the 2015 SEMA Show LIVE and invite you to join us virtually by following us here on WAYALIFE.com! You can be sure we’ll be covering EVERYTHING Jeep related and more with TONS of detailed Hi-Res photos. Of course, if there’s anything in particular you’d like to see, please let us know and we’ll be sure keep an eye out for it. Okay, been meaning to take Rubicat out for a while now and do some flex tests now that we’ve got her back on 40×15.50 Nitto Mud Grapplers. Thinking about all this, Cindy and I thought it would be fun to highlight just how far we’ve come and did so by taking a few face off photos between Rubicat, our highly modified 2012 Jeep JK Wrangler Rubicon Unlimited sitting on coil overs and 40×15.50 tires and Pappy, our bone stock 1954 Willys CJ3B sitting on factory leaf springs and 600×16 tires. Rubicat Back on 40×15.50 Nitto Mud Grapplers!! After breaking down the wheels again and doing a thorough inspection of the beads, we found that the problematic tires were installed improperly and had beads that were folded over in multiple locations. 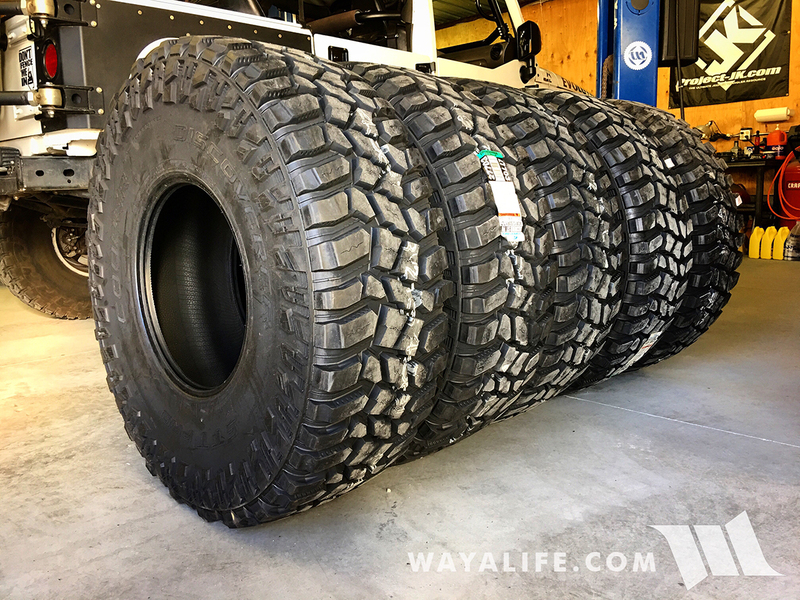 It would take multiple attempts (literally breaking the bead locks down about half a dozen times and reinstalling them) to mitigate these problem spots but, as of today, we now have a complete set of 5 tires all holding air! It’s been about a week since we first started to cover the 2014 SEMA Show live in Las Vegas, Nevada, and now that it’s all over, I thought it would be good to do a quick recap on some of the cool rigs and innovative new products that caught our eye.